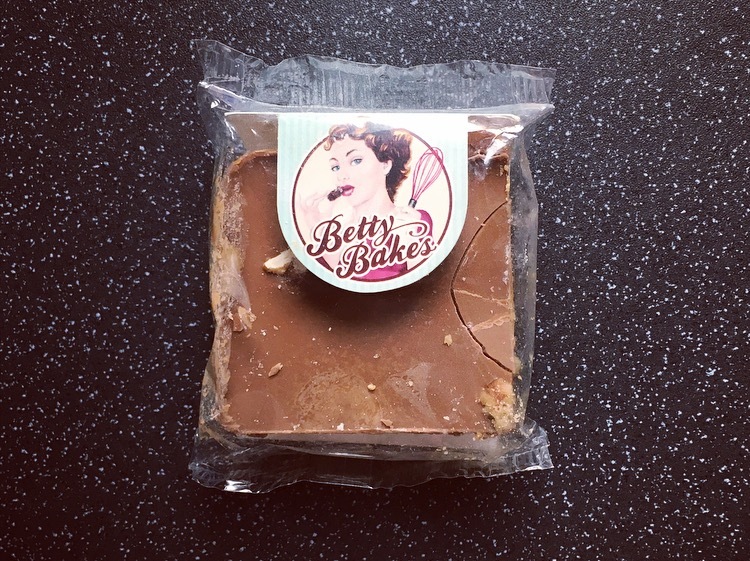 Ever since the Cupcake Snack Warrior over at Reaching for Refreshment and Kevvie Kev over at Kev’s Snack Reviews have raved about Betty Bakes being as scrummy as they look, I have been on the lookout to try some. Low and behold on one of my numerous trips to Longacres Garden Centre I spied a lonely slightly cracked looking Betty Bakes bar in a basket, and lady luck must have been on my side because it was Betty Bakes Marathon Flapjack, which has, yes you guessed it Peanut Butter!! Free from additives and nasties, made using all natural ingredients including locally sourced free-range eggs, British butter, flour, sugar, and real Belgian Chocolate, Betty’s Bakes have even gone further to make wheat and gluten free bakes too. Is it too good to be true?! Let’s find out. Peanut butter, toffee and Belgian milk chocolate on top of all-butter flapjack. 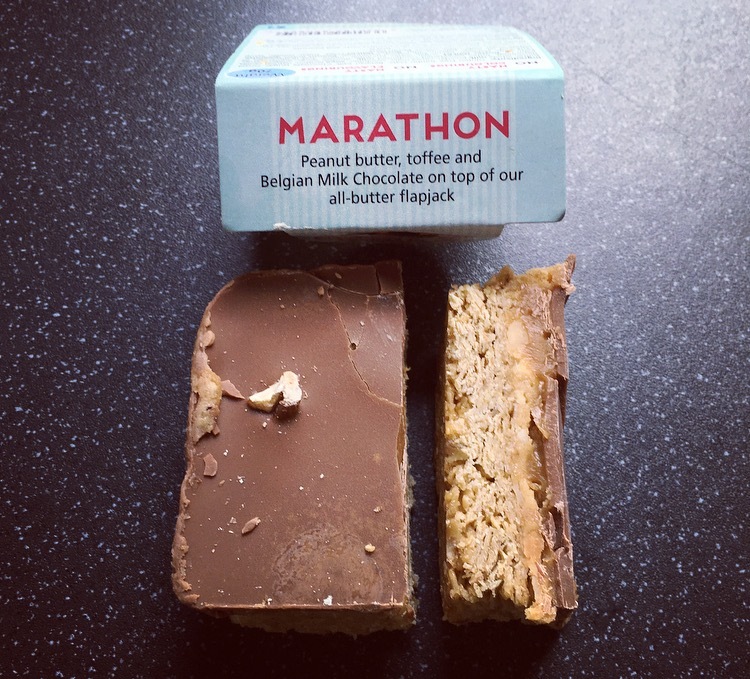 This Marathon Flapjack is gluten free, wheat free, suitable for vegetarians & suitable for Coeliacs, in essence pretty much all can chow down this bar. Going in for the cut it took quite some force to get through all the layers. I was a tad concerned for my teeth but fear not this flapjack was no way near as difficult to chew. The buttery oaty flapjack was exactly that and provided the thickest layer of all. The oats weren’t thickly coated like some, and actually had a lovely bite to them still. 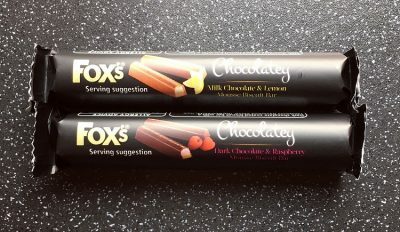 The milk chocolate, although only a thin layer, still had the connotations of creamy Belgian chocolate that snapped and gave way to the sticky chewy toffee and peanut butter. The peanut butter element with little chunks of peanuts was nutty, salty and just darn right heavenly. Pop that in a tub on it’s own and I would happily spoon that out the jar! I think we can all guess that as a whole this Betty Bakes Marathon Flapjack is one deliciously scrummy bake. All the flavours fuse together to create a chewy, oaty, slightly gooey peanutty chocolate heaven. My new favourite peanut butter baked goodie by far. 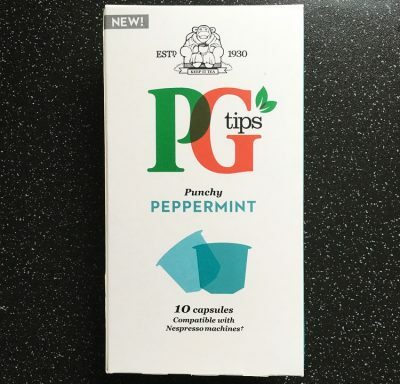 An absolute must try! For all things Betty Bakes visit their website here. I have just spied they have a Reese’s Peanut Butter Toffee Crisp that I now need to get my hands on!